Professeur associé à l’université de Princeton, Cyrus Schayegh rejoindra le département d’histoire de l’Institut de hautes études internationales et du développement (Genève) à la rentrée 2017. Sa thèse (Columbia University, 2004) a été publiée sous le titre Who Is Knowledgeable, Is Strong: Science, Class, and the Formation of Modern Iranian Society, 1900-1950 (California University Press, 2009). Son prochain livre (The Middle East and the Making of the Modern World) paraîtra chez Harvard University Press à l’automne 2017. 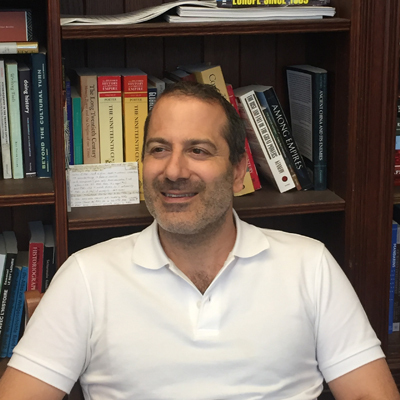 Cyrus Schayegh est également co-directeur de deux ouvrages collectifs : A Global Middle East: Mobility, Materiality andCulture in the Modern Age, 1880-1940 (Tauris, 2014) ; The Routledge History Handbook of the Middle East Mandates (Routledge, 2015). John F. Kennedy’s interest in the Third World has been oft-noted. This talk looks in the opposite direction. I ask what the history of the perception and treatment of the U.S. president as a, if not the, global president is, and how JFK fits into that history, especially as decolonization now interplayed with, and globalized, the Cold War, and as electronic media, including TV, rapidly changed around that time, too. From the late 1960s, Iran’s international status rose rapidly. In tandem, it globally projected a geo-cultural concept, tamaddon (civilization), with an imperial subtext. Harping on the «fact» that «the West» had lost its moral compass, and exploiting that the U.S. and Soviet centres of the two hitherto leading ideologies, liberal capitalism and communism, were somewhat destabilized from the late 1960s, Iran presented itself as an old-new beacon to the world.